Are you planning to buy the all-new Samsung Galaxy On7 Prime but not sure if it would be the wisest choice or not? Well, you have come to the right place. Today we are going to analyze the comeback kid from Samsung and will pit it against the likes of Xiaomi Note 5 Pro and the Upcoming Asus Zenfone Max Pro. So without further adieu, let’s go and find out which one is the best in the range. And in case, at the end of the article, you choose not to the Galaxy On7 and decide to go for some other phones, be sure to check out flipkart mobile offers for some amazing discounts and exclusive offers. In last few years Indian smartphone market has seen a steady change. A number of Chinese OEMs are offering cheaper devices with tons of specifications and we have also seen Xioami overtaking Samsung in terms of the number of units imported. The On series is the answer from Samsung in their desperate attempts to maintain a lion’s share of the market share and the On7 Prime is their flagship in the mid-budget segment. There is nothing too much exciting about the Samsung On7 as it is more like a cousin of the older J7. 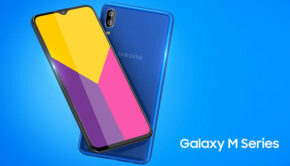 But during its launch, Samsung has boasted about its Samsung mall app and the image search and it is certainly something to look out for in this device. The first thing you will notice about the Galaxy On7 Prime is the lack of bezel. As more and more manufacturers are offering bezel-less designing even under 10K, it has become a mandate in the sub 15000 range to have a bezel-less design but somehow. Samsung has managed to miss it. The design is same old with wide bezels in top and bottom and also on the sides. The display is also not an AMOLED one! Yea, am telling the truth. It is only a totally outdated TFT LCD display. LCD means you burn more power when the screen is on and the viewing angles are also very much narrow. Samsung has also decided to go against the trend of 18:9 aspect ratio displays and used the more traditional 16:9 aspect ratio. The only good thing about the display is the Full HD 1920X1080 pixels resolution. All of this is packed in a smaller 5.5-inch display which enables you to have a very high pixel per inch density. Images look crisp an bright and colours are bold and vivid and if only it was an AMOLED display it would be one of the best displays in the price segment. If you are paying as much as Rs. 15000 for a smartphone you do expect a dual camera setup, right? But like the Mi Mix 2, this device also does not have a dual camera setup. For stuff like Bokeh mode, it depends on a 13 MP wide angle shooter. The rear camera is a decent one. It comes with an f 1.9 aperture which is pretty rare in this segment. It is a wide angle one and uses it to create Bokeh mode. Though it is good enough on first look, upon careful investigation you will find that the distinction between the subject and the blurred area are not the greatest and some tiny parts of the subject have been blurred. The daylight shots are very well. They are very crisp and the amount of details is great. However, sometimes under direct sunlight, some parts of the image gets burned. There is a built-in HDR mode to help with dynamic range and it works pretty great. There is no optical or digital stabilization in the camera. So, it becomes harder to take good quality photos in one go. Colour reproductions are almost accurate but sometimes the saturation looks a bit cooler then it should be. Under low lights, though the camera is almost unusable. There are very fewer details and tons of noise. There is a night mode which improves the contrast and the overall detail of the image but also invites more noise in the image. There is also no option to shoot videos in 4K. You only get to shoot FHD videos but the quality is only limited to 30 frames per second. But the video quality is, however, surprisingly good. They look very crisp and colours are reproduced more naturally than the still images. The focus though does seem to try to reset itself every second or two but it does not affect the video quality anyway. The Galaxy On7 Prime also comes with a 13 MP front camera. The camera is good enough and can take some decent selfies. The camera also has f 1.9 aperture and this lets you fit all of your friends in the frame. There is also a Bokeh mode option but like the rare camera, this one is also not up to the par. I can bet if you are given a Samsung Galaxy On7 Prime and a Galaxy J7 with there buttons covered, you will have a hard time differentiating between them. They look exactly same and there is nothing exciting. The back of the device is made of premium metal but not much attractive. The bezels are made of cheap plastic and exactly like a 2016 or even older smartphone. There is no 18:9 aspect ratio so the device is little wider. But by limiting the display size to only 5.5-inch display Samsung has managed to keep it usable using only one hand. Yea it is possible to get most done using one hand but you should not expect to reach every nook and corner of the device with your thumb when using one hand. The big change in the design is the placement of the speakers. It is now placed on the top right-hand side. So, when you are watching a movie or playing a game in landscape mode, you won’t accidentally block your speakers. The tab button and the back button have a new font and it looks pretty cool. There is no backlight on these buttons and it is frustrating. The home button also performs as a fingerprint sensor. The stock android comes with a coating of Samsung Experience UI. The icons are crisp and bright and there is a brilliant use of colours and white spaces in this UI. The UI is also rich in bloatware and takes up a good deal of your storage spaces. 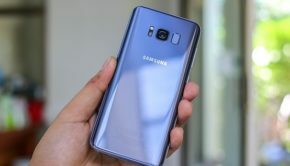 The UI also lets you use Bixby, Samsung’s very own virtual assistant and seeing it perform decently in the flagship Samsung devices, we can expect it to deliver the same in this device. However, there is no support for S pen in this device. The touchpad, being TFT does not offer the most pleasing experience but it does its work pretty decently. There is no lag or delay in touches and it is calibrated excellently to recognize every swipe and double tap perfectly. The biggest disappointment is the lack of sensors in the Galaxy On7 Prime. There is no ambient light sensor and you need to adjust the brightness whenever you go out in the or come back inside. This is annoying and we can’t find any logical reasons for this. There is also not a magnetic sensor. So, when you are using the Google Map, you can not really find out which way you are looking at. The fingerprint sensor which is present works perfectly and the phone unlocks almost unlocks almost instantaneously as you touch the fingerprint sensor. 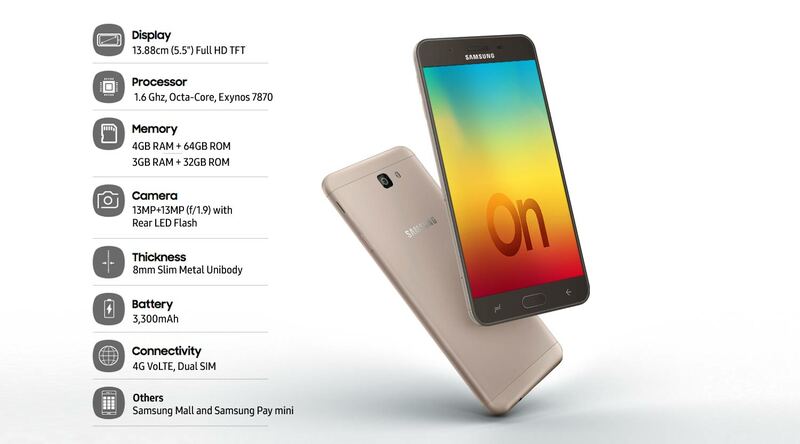 The Samsung Galaxy On7 Prime is powered by a Samsung built Exynos 7870 octa-core processor. The processor is clocked at about 1.6 GHz and can deliver a solid performance. But given the fact that the cheaper models of Asus and Xiaomi are now offering a Snapdragon 636 processors powered by Kryo engine, the two-year-old processor looks very pale. The device comes with a 4 GB and 3 GB variant. Both of them are more than enough for a casual user and can handle light multitasking smoothly. But for high-end games like Asphalt 8, the device looked a bit sluggish. Probably the most advertised feature of the Samsung Galaxy On7 Prime is the inbuilt mall and the image search feature. The mall app is like your regular e-commerce site. You can search for products and the app lists all relevant products from multiple stores. You can compare the price but to actually buy the product you will be redirected to the seller’s website. It is a cool and convenient app but all these search and comparison can also be done easily from your Browser. The image search looks for objects of interests in an image and opens similar products in the mall app. This sounds very exciting and futuristic but it does not meet all the expectations. While the detection of the presence of an object is pretty fast and accurate, the product identification is not up to the mark. Often products are mistaken for something completely different and the total concept looks more like a work in progress. 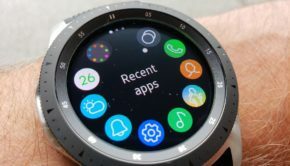 But it is certainly a cool feature and we can expect Samsung to roll this feature out in the most of its devices. The battery of the Galaxy On7 Prime has a charge capacity of about 3300 mAh. This may sound disappointing but the actually does a pretty decent job. A casual user can expect it to run for about two days while moderate use will take it a whole day to drain. However, heavy users may need to charge the device multiple times in a day. The best thing about the Galaxy On7 Prime is that it lets you use two sim cards and a memory card at the same time. The sims are nano sims and do support 4G VOLTE. The phone comes with either a 32 GB or a 64 GB storage capacity. The total memory is expandable up to an additional 256 GB using a micro SD card. Another cool feature in the Galaxy On7 prime is the pre-installed Samsung Pay Mini app. Using this app you can easily make payments in a number of ways just like the original Samsung pay app in Galaxy S8 and S9. You can add all your UPIs and mobile wallets like Paytm, Phone Pe in the app and it lets you use all of them from a single app. This is certainly one of the best features of this device. The Samsung Galaxy On7 Prime is sold exclusively on Amazon and you can get the 3 GB / 32 GB version for Rs. 11990 and the 4 GB / 64 GB version for ₹13,990. Decent PPI density of the display. Good camera in well-lit conditions. Presence of the Samsung Pay Mini app. TFT display with a very narrow viewing angle. Poor camera performance under low lights. The processor is old and no match for current standards. No ambient light sensor or magnetic sensor. The design is not much attractive. The Samsung Galaxy On7 prime has received much of a mixed review. 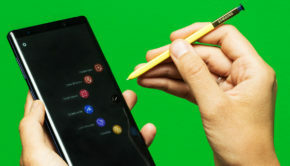 All of the experts are very much critical about the cuts that Samsung has made in this device and NDTV Gadgets 36o’s rating of only 3 stars is a clear evidence of this fact. But many of them did not fail to recognize its brilliance in some aspects and Digit have termed the device as “A shopaholics weapon of choice”. Follow these simple steps to buy the Galaxy On7 prime. Log into Amazon India website or open the Amazon app. Search for the Galaxy On7 prime. Enter the delivery address and select your favourite payment method. Once payment is successful, you will receive an email and an SMS confirming your order. The Samsung Galaxy On7 prime is not the perfect phone and in terms of specs, it lags far behind the Redmi Note 5 Pro or the Asus Zenfone Max 2. But if you are a Samsung fan and will prefer lower specs in exchange for trust and better quality, this is the phone for you.